Luxor MB whiteboard series are made from magnetic reversible whiteboards. - Chrome finish on main frame. The MB4836 is 48"W X 36"H and is reversible whiteboard/chalkboard. 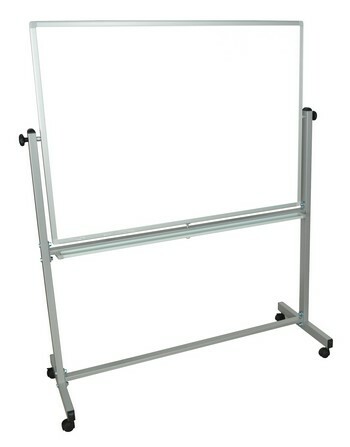 The MB4836WW is 48"W X 36"H and is reversible whiteboard/whiteboard.